Mobile Health Computing: Will you get a netbook this Christmas? Will you get a netbook this Christmas? This holiday season (Christmas for me), I plan to do quite a bit of shopping for people in my family. I may be buying a new laptop or even a desktop, but I don't plan on purchasing any netbooks. How about you? There will be some incredible Black Friday deals coming up fairly soon. New netbook models are appearing in retail stores. Tempting? You'll definitely see more netbooks at the airport this holiday season. Students have been gobbling up netbooks and they'll be using them as they wait for their plan to return home for the holidays. 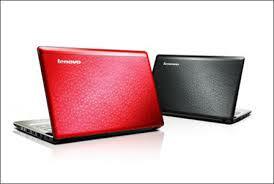 The Lenovo IdeaPad U150 is one of the newest netbooks to emerge. This one is a bit on the more expensive side, but you'll get a more powerful netbook in this package. I'm still a fan of convertible tablet PCs, so you won't find me purchasing a netbook unless it can convert to a tablet. My current machine (Lenovo Thinkpad X200 tablet) doesn't have the capacitive multi-touch screen, so that's one feature I'd love to have in a netbook. However, you won't see me spending any money this Christmas for a netbook because I simply have too many gadgets right now.